2. If we should order the SOD how much the price and how long it takes to order. The ab65354 Superoxide Dismutase Activity Colorimetric Assay Kit can be used without a standard since it is reporting as % inhibition in your sample. 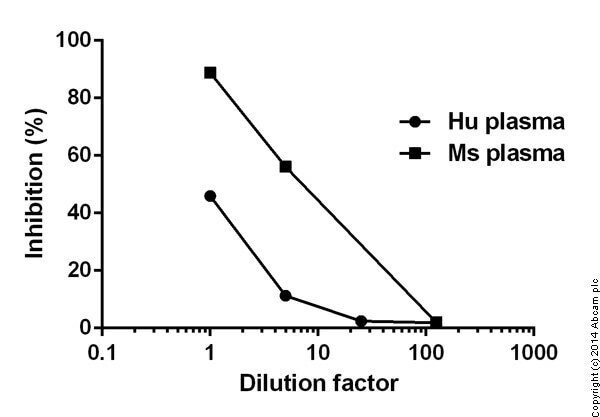 Blank 1 does not contain any inhibition, and your sample will have some percentage of inhibition. Blank 2 and Blank 3 are background values so remember to minus these values when doing the calculation. Thus, the more SOD in a sample the less WST-1 formazan produced (which was dependent on Xanthine Oxidase (XO) activity). If you want to measure the amount of SOD in your sample, you can use a purified protein as a standard (ab112193 SOD full length protein) and then treat the standard just as you would treat a sample and calculate the amount using a standard curve. Here are the details of the standard. For your information, a 96-well plate is also not included in the kit but you can use a standard flat bottom plate such as the one sold by Greiner Bio one (#655-101) or any other standard polystyrene plate. Is it possible to prolong the shelf life of product ab65354 by storing WST Working Solution in different conditions than the 4C stated in the protocol after reconstitution? I would not suggest this, as we store this product at 4C ourselves. We haven't tried to store this productat -20C, and we do not know if the product is suitable to be stored at lower temperatures. Please be aware that the customer will loose the Abpromise if they store the product at -20C. Hi, Can you please tell me what is the lower limit of detection for this assay? Thank you! The lower limit for this kit is 0.1 U/ml of SOD activity. We calculated the results as inhibition rate%. To calculate the SOD activity in U/ml, should we use the standard or is there any conversion factor for this? https://www.abcam.com/index.html?datasheet=112193 (or use the following: https://www.abcam.com/index.html?datasheet=112193). Which one of the three isoforms of SOD is directed for in the kit? I can confirm that there is nothing isoform-specific in the kit principle. ab65354 measures the oxygen anion created by any of the SOD enzymes. What mass of tissue is recommended as starting material for this assay? The minimum mass of tissue to use with this assay is 10mg. Could you please advise me, should the protein concentration be measured of the samples tested? 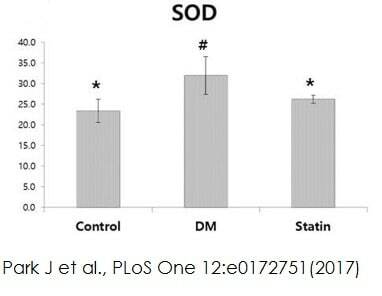 The protocol you have provided shows a graph of percent inhibition vs SOD activity, has this been normalised to the protein concentration? The graph we have on our datasheet has the % inhibition on Y-axis. From this kit protocol, you will just get the Y-value which is the % inhibition. To draw the graph, you will need the X value. You can get that by using standards (not included in the kit). The standards (ab112193) have to be treated the same way as the samples, but since you already know the amount you are taking, you can easily calculate U/ml. How much tissue should be used for extraction? We would recommend using at least 10 mg of tissue with the kit ab65354. How do we prepare blood samples to use with this kit? Collect using citrate or EDTA. Centrifuge at 1,000 x g for 10 min at 4°C. Remove plasma layer w/o disturbing the buffy layer and store at -80°C until ready for analysis. Remove the buffy layer from the red cell pellet. Resuspend erythrocytes in 5x volume of ice cold distilled water and centrifuge at 10,000 x g to pellet the erythrocyte membranes. Store supernatant at -80°C until ready for analysis. Plasma can be diluted approx 3-10x and red cell lysate diluted approx 100x prior to SOD assay. Are three blanks required for each sample, or can three blanks suffice for comparison to all samples run at the same time? Yes, you would need the 3 controls with each and every sample.